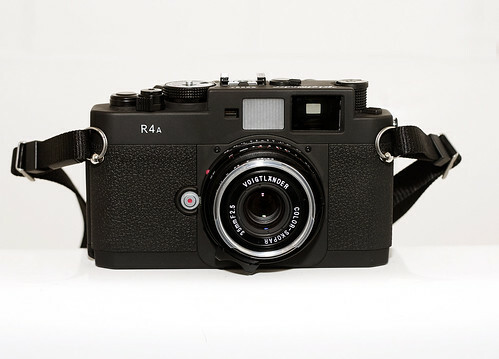 VoigtlÃ¤nder Bessa R4A, originally uploaded by Dave Dunne. Bought myself a camera as a late Christmas present. It's a VoigtlÃ¤nder Bessa R4A rangefinder camera. I haven't really had a chance to play with it yet though since there has been a huge storm here which is preventing me from going outside.